We’re here to help you sell to your customers and build your business. 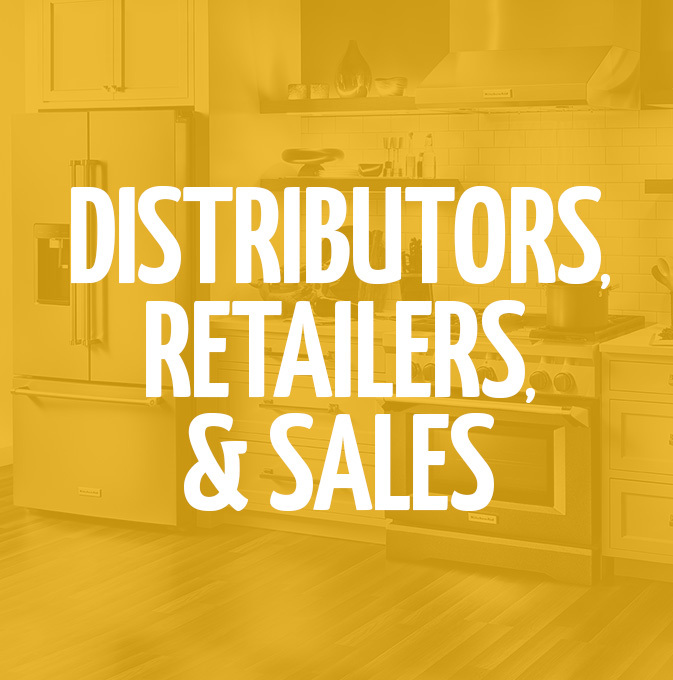 And as a leader in appliance manufacturing, and a fixture in homes worldwide, we can. That’s the number of years that consumers have counted on our products. Delivering quality appliances to your customers is our primary focus – and we’ve spent more than a century perfecting our craft. 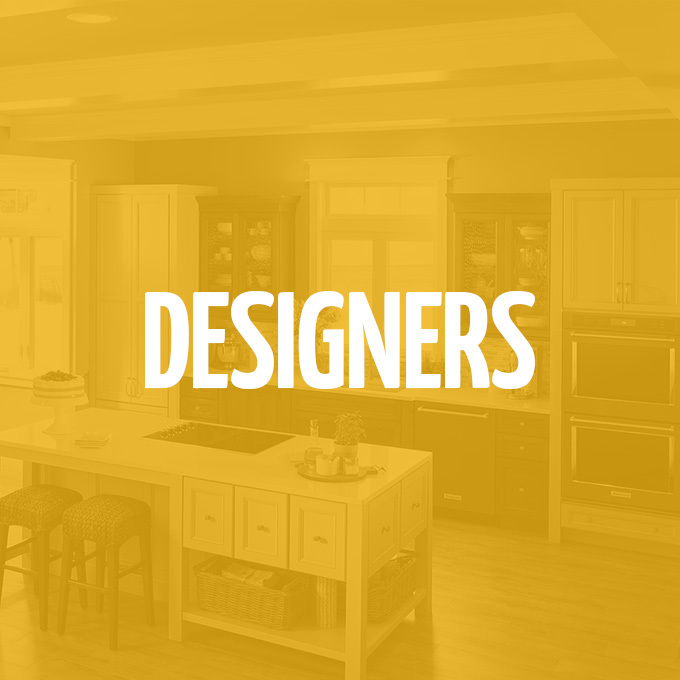 We know what consumers want from their appliances and offer a broad portfolio of brands to meet unique tastes, needs and visions. * Based on 2016 Whirlpool Corporation consumer survey. No matter what your customers need, they can feel confident that they’re working with an industry leader – and you can too. * Based on 12-month average of unit sales. Refrigeration, Cooking, Dishwashers and Laundry appliances. TraQline, 2017. No matter your role during the building process, we have unique tools and insights designed to help you succeed. Count on us to provide the insights, expertise and tools you need to help you sell more homes. Count on us for quality products that fit seamlessly into your vision. Count on us to help you satisfy unique consumer tastes. 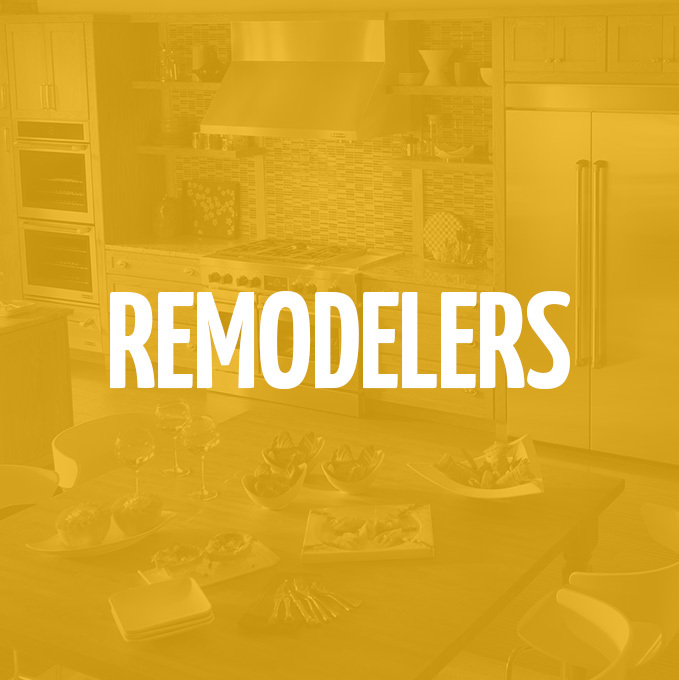 Count on us for the products and features that homeowners demand. 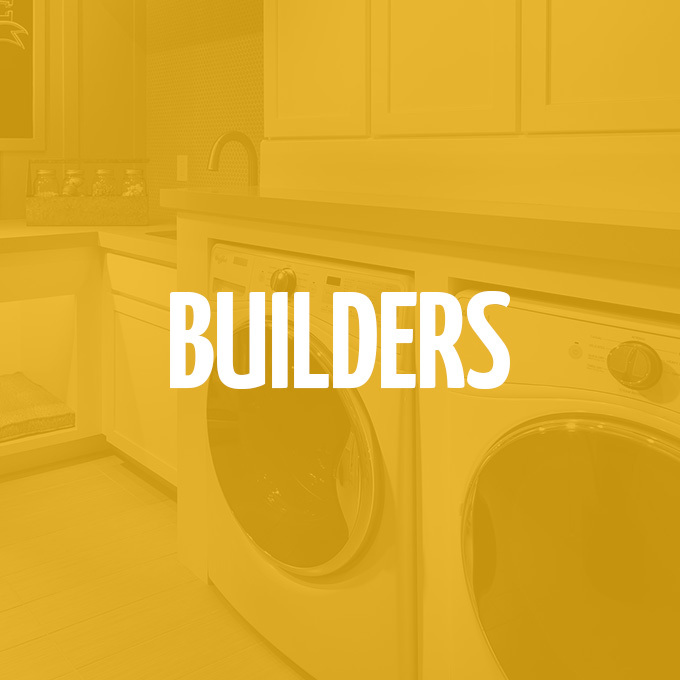 Count on us for in-demand appliances and reliable service. "We look forward to continuing to offer top brands from Whirlpool Corporation in all of our homes. We can count on them to back up our brand promise to our homeowners of Custom Homes Made Easy." "Quality is the heartbeat of what we do, and we know the same holds true for Whirlpool Corporation. We count on them to provide homeowners with everything they would expect in kitchen and laundry appliances." "Whirlpool Corporation is an industry leader and innovator that we value as a partner. They provide high-quality products designed to enrich their customers' lives, which aligns with our mission." Whirlpool Corporation by the numbers. 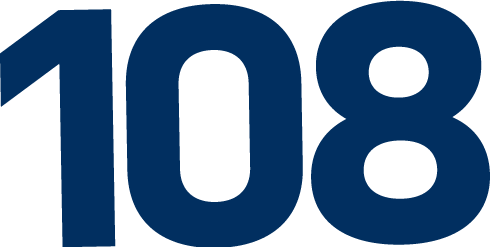 That’s the number of new connected appliances that we offer. As the industry leader, we make it easy to deliver the smart appliances your customers desire – designed to seamlessly integrate into their daily lives. Our world-class innovation pipeline continues to accelerate, fueled by approximately 70 manufacturing, research and technology centers worldwide. That’s the number of U.S. workers dedicated to bringing you quality products. Appliances are only as good as the parts and processes used to make them. We are confident that our American workforce is uniquely positioned to continue delivering compelling innovation and superior quality to consumers. That’s the number of major appliance brands available to meet any taste. We set ourselves apart from competitors by offering a differentiated portfolio of brands, each designed with a specific consumer in mind. Learn more about our U.S. brand portfolio below. If value-driven defines your single or multifamily project, Amana brand is where it’s all happening. The Amana brand customer values hassle-free use and quality in home appliances. Amana brand focuses on easy-to-use features that simplify lives and allow the customer to get the job done well each and every time. The flagship brand of the company, Whirlpool brand exists to help families thrive. Whirlpool brand customers value organization and efficiency, and live real, not perfect lives. They seek appliances with purposeful innovation that help them with what matters most – caring for their family. For more than a century, Maytag brand appliances have been synonymous with hardworking American dependability. From the crustiest plates to the filthiest laundry stains, Maytag brand handles the toughest jobs. Homes built for demanding families deserve the power and durability of Maytag brand. Maytag brand customers value function over form and count on their appliances to keep their home running smoothly. This legendary brand is built to last. KitchenAid delivers the exceptional performance that makers need with the finely-crafted design they desire. This iconic brand has made its home in the kitchens of cooks, creators, brewers and bakers who are passionate about their culinary creations. Your KitchenAid brand customers use their appliances to fulfill their creative vision in the kitchen, empowering them to continually push what is possible. Defying physics with the invention of downdraft ventilation, Lou Jenn forged the path to an open concept and changed the kitchen forever. Founded in that progress, JennAir fearlessly carries his torch — hell-bent on burning down the tired conventions of luxury. JennAir crafts distinctive luxury kitchen appliances that push form and function to transform spaces. With exceptional performance, masterful execution and provocative design, JennAir offerings are powerful, yet bespoke to individual tastes, shattering norms to deliver the progress that today’s luxury consumer deserves. That’s because our sustainability strategy today engages nearly every aspect of our business, from materials and processes to product technologies and end-of-life recycling, all aimed at a more sustainable future. By creating industry-leading products that perform better while significantly lowering operating costs and environmental impacts, we’re able to give you more choice, not compromises, for your customers. Award-winning products? Count on it. 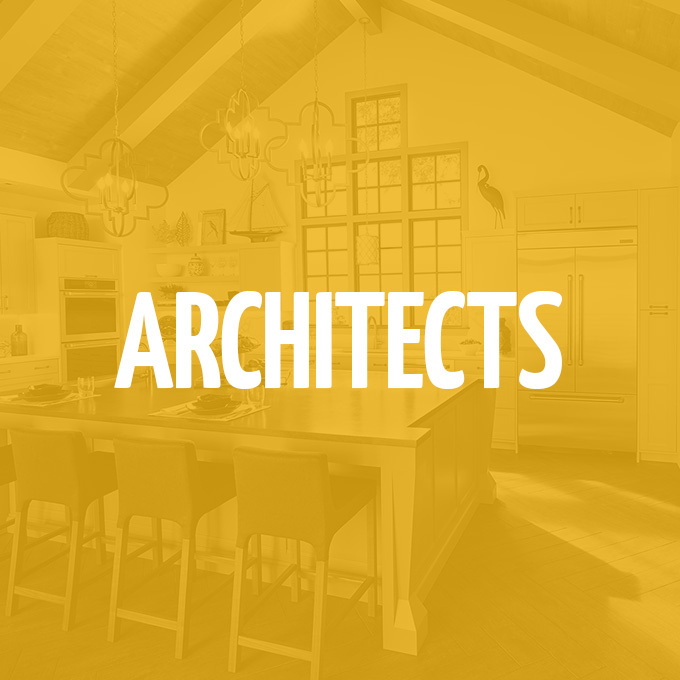 We're proud to deliver products and innovations that are recognized by the building industry and beyond.